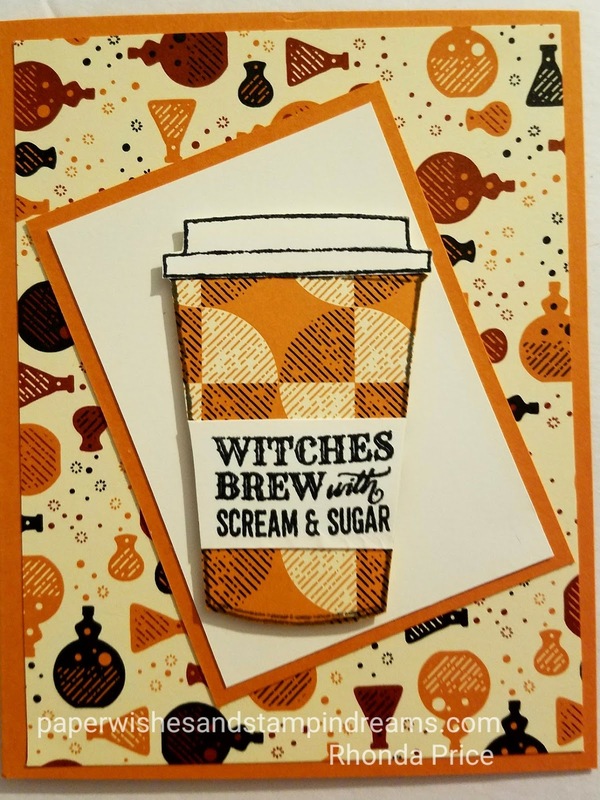 The first Halloween card of the year. The new Holiday Catalog has some really great Halloween stamps in it. Merry Cafe' coordinates with the Coffee Cups Framelits in the Annual Catalog. The Spooky Night DSP is so great. I love it. I will update with a product list when the catalog goes live.